USING DR. KINGORE'S OWN PRESENTATION MATERIALS! 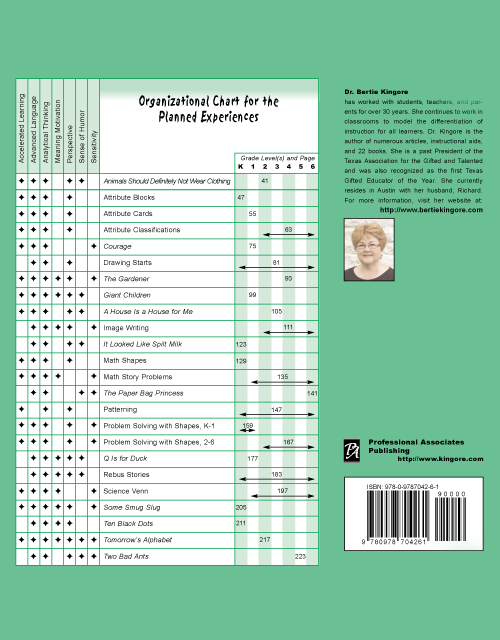 Responding to requests from administrators who are responsible for staff development, this professional development guide provides everything needed for training staff to implement the Kingore Observation Inventory (KOI), planned experiences, and differentiated learning experiences. This comprehensive program operates with Adobe Acrobat® (rather than Powerpoint) to enable more complex and professional-level graphics in a full-screen view with both Mac and Windows. The KOI and the planned experiences have proven particularly responsive to under-represented populations and enable more children of diversity and lower SES to demonstrate gifted potential. 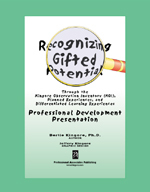 They are high-level, open-ended activities designed to elicit and diagnose gifted behaviors. Districts have requested this set of activities that grade-level teachers complete with every student to provide equal opportunities for advanced behaviors to emerge. 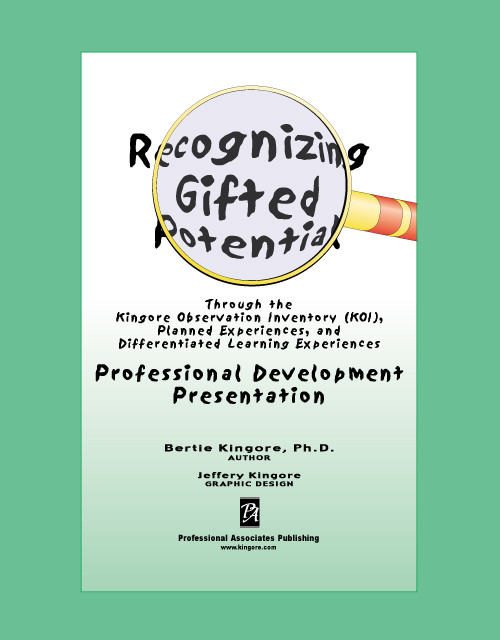 The planned experiences have been nationally field tested and revised by hundreds of classroom teachers as part of the use of learning experiences to enrich all children and identify gifted potential. Each planned experience is designed to be developmentally appropriate to a specific grade level and integrate seamlessly with daily instruction. Each uses simple and readily available materials, and several planned experiences are based on literature for children because quality literature has multiple high-level applications.